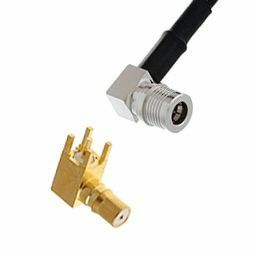 Quick Lock miniature connector, operating in the range DC-6 GHz. QMA was designed in the 2000s. Thanks to its main benefits (easy and quick to install, high density, tool-less), it successfully displaced SMA in telecom infrastructure equipment. A waterproof version WQMA is also available (part series R123 W). Radiall is a certified member of the QLF alliance and co-owner of the applicable patents for QMA.